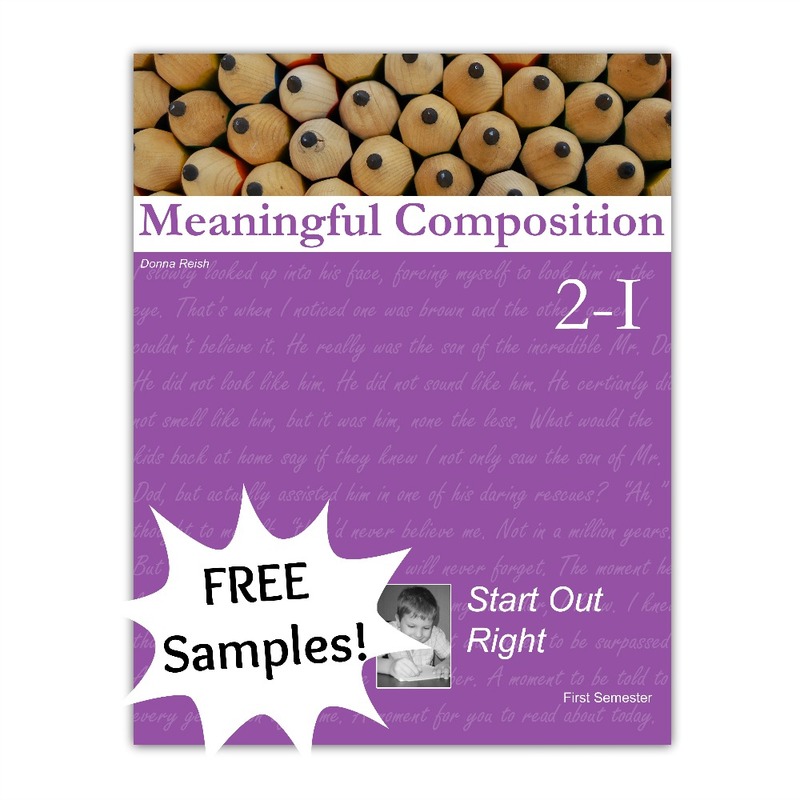 Meaningful Composition 2 I is the first in our composition series! 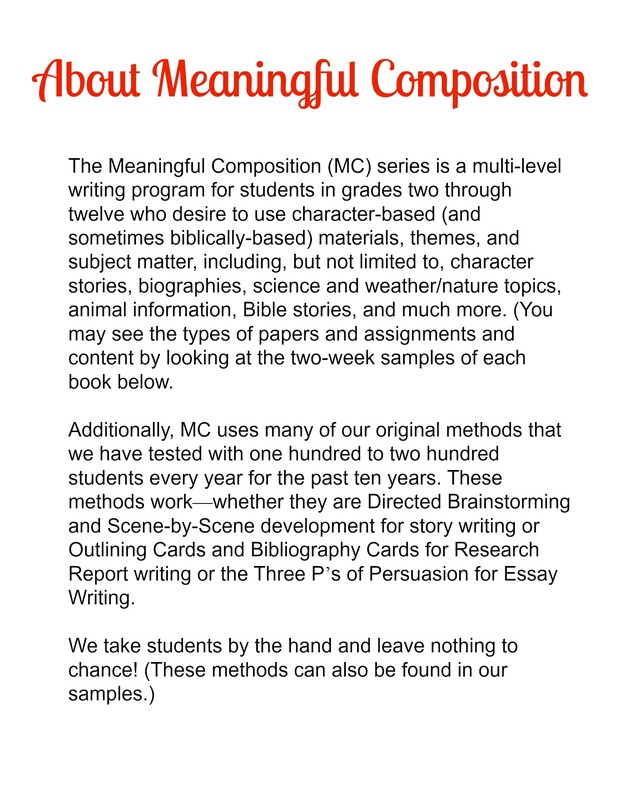 Similar to the other elementary books (2 II, 3 I, and 3 II), it is more of a complete language arts book rather than strictly composition. At this level, “composition” involves more skill building, sentence writing, and grammar/usage than full stories, reports, and essays. 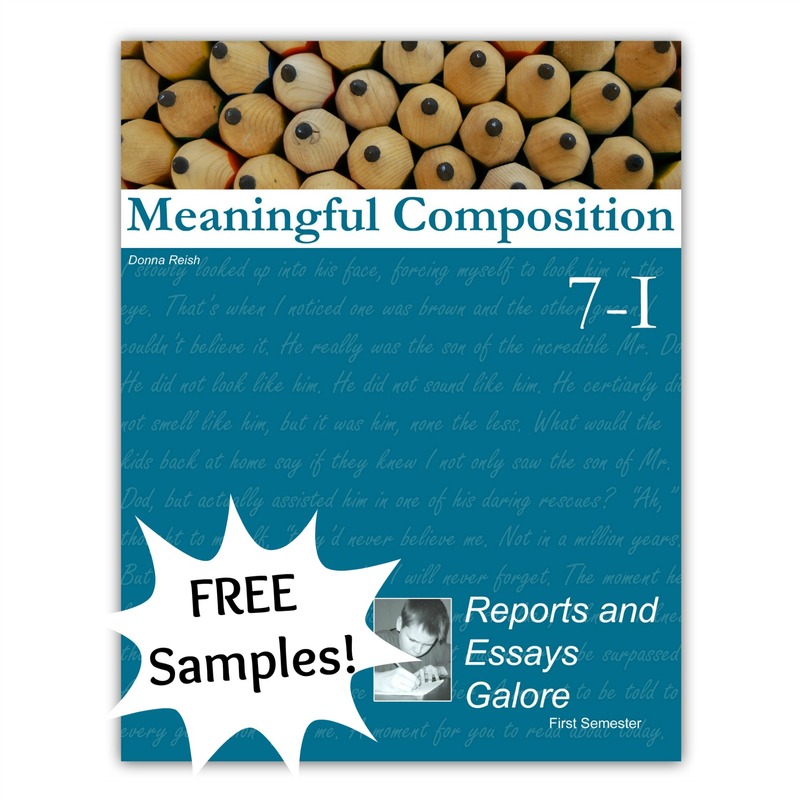 Meaningful Composition 2 I is the first in our composition series! 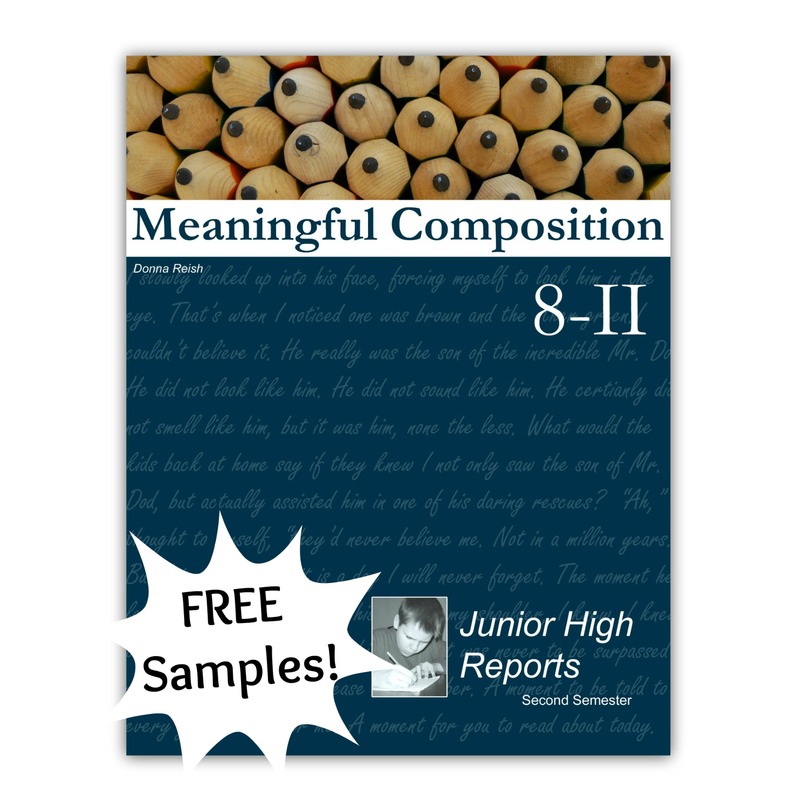 Similar to the other elementary books (2 II, 3 I, and 3 II), it is more of a complete language arts book rather than strictly composition. At this level, “composition” involves more skill building, sentence writing, and grammar/usage than full stories, reports, and essays. Thus, the elementary MC books contain all of those elements! Each week is set up in a similar manner—with a passage to learn to write from, language lessons, Editor Duty sentences to correct, Wacky Words (homophones and confusing words), pre-writing exercises, Reading Leads to Writing exercises, sentence writing, Checklist Challenge introductions, dictation, and more. 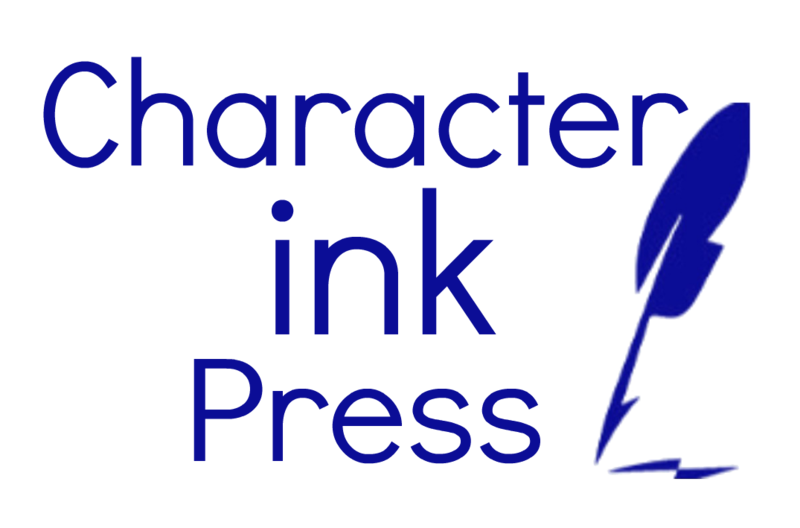 As the book progresses, students start to learn about paragraph writing through Character Ink’s signature outlining methods, including The Paragraph House, Q and A Outlines, Writing Boxes, and given outlines to write from. Topics include meaningful content, such as animals, nature, missionaries, Bible characters, classic story characters, heroes in history, and more. This sixteen week book will take care of all of your language arts needs for the second grade level student except for spelling—and your student will have fun while learning to write. 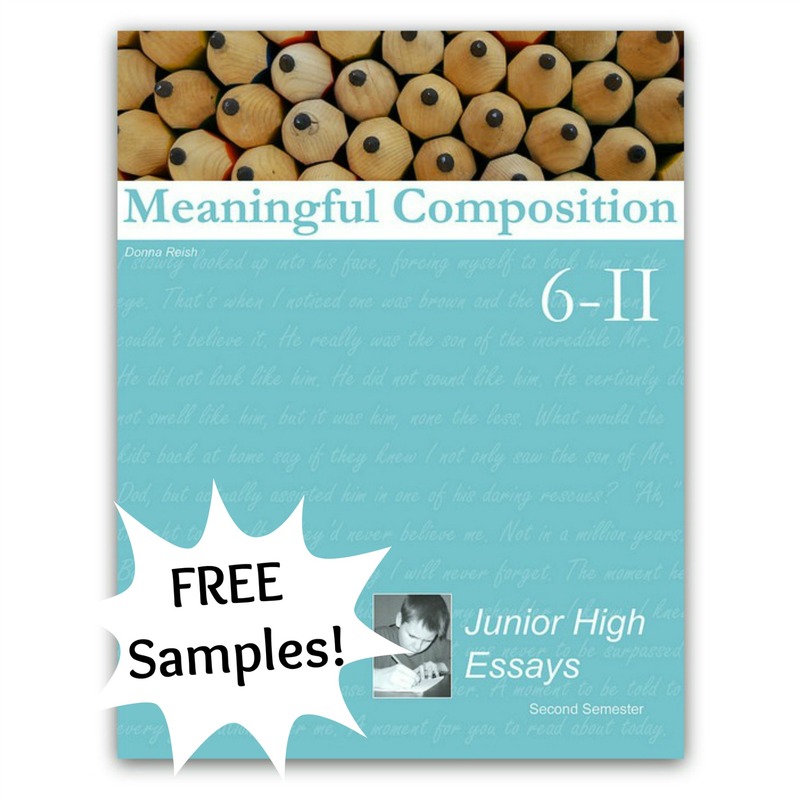 Check out our two week samples to “try before you buy”!